Net neutrality is a principle that Internet data should be treated equally and that consumers should not be charged depending on what the data is. The original concept of the Internet was to keep it free and unrestricted, and for the most part it has remained that way. However, the Federal Communications Commission (FCC) wants to set laws in order to ensure that the Internet remains as unrestricted as it has always been. Opponents don’t agree and want the government to stay out of the way rather than try to fix something that isn’t broken. The biggest argument against the FCC regulating the Internet is based on the “nothing-is-broken” principle. Proponents are worried that without regulations, Internet service providers (ISPs) will restrict traffic through their cables for rival companies, and that the ISPs may start charging extra to these companies. Opponents argue that this has not happened to date and that cable providers have no desire to start doing this. They argue that proponents to net neutrality are just making up scenarios to further their cause. The Los Angeles Times reports that, according to some opponents, the Internet has thrived because it has been free from government intervention. This is partially true. Typically, in any market, a lack of government regulation allows tight competition to keep rates lower as the different companies fight for customers. However, there is not much competition in the cable industry, and it is about to shrink even more. 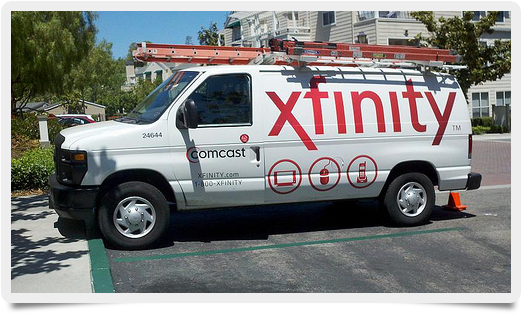 In February, Comcast announced its acquisition of Time Warner Cable, which will give Comcast over 30 million subscribers. According to the Washington Post, part of the problem that proponents are facing is that the FCC has no control over the broadband industry. Consumer groups are asking the FCC to reclassify broadband as a utility phone service, which would give the FCC control over its practices. Some of the fire pushing proponents forward is that many of the arguments against regulation are no longer valid. The opponents’ strongest argument, that cable companies have no desire to start restricting access, has been proven wrong. USA Today reports that Comcast has recently been limiting the connection speed of Netflix’s downloadable content. The companies have come to an agreement, but Netflix now has to pay extra for its content to stream more quickly on Comcast, which will either affect the millions of customers who stream a billion hours of Netflix content per month or the Netflix stockholders. In January Verizon challenged the FCC’s 2010 Open Internet Order, and the FCC lost. The FCC is not going to appeal the decision, but they are going to redesign the rules and come back with them later this year. The three-judge panel gave the FCC some advice on how they can push these new regulations through without breaking current laws, and the FCC is planning on taking advantage of those points. The future of net neutrality is still up in the air for now, but both sides have a lot of support. What the ISPs do in the next couple of months could tip the scales either way and may help decide the future of the Internet.